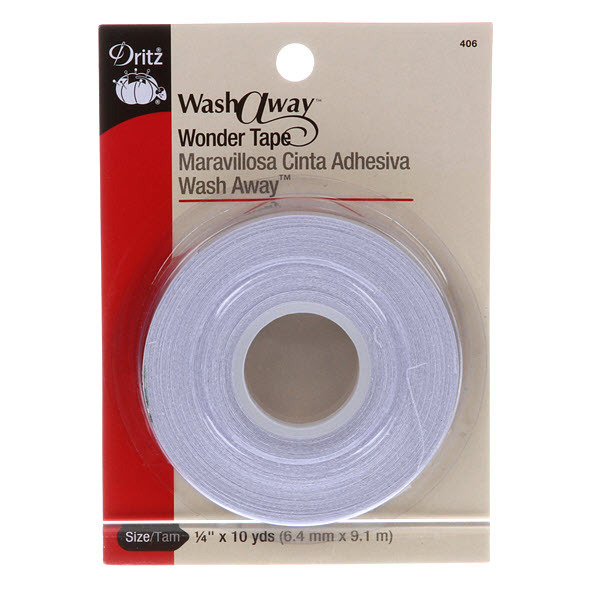 A double sided, transparent tape the disappears after the first washing. Can be sewn through without gumming up your needle. Perfect for holding together seams or hems before stitching or for holding down applique.